Vinh Phuc (VNA) – The police in the northern province of Vinh Phuc have brought to light a drug trafficking ring and found nearly 20,000 meth pills, the largest quantity of illegal drugs seized in the province so far. 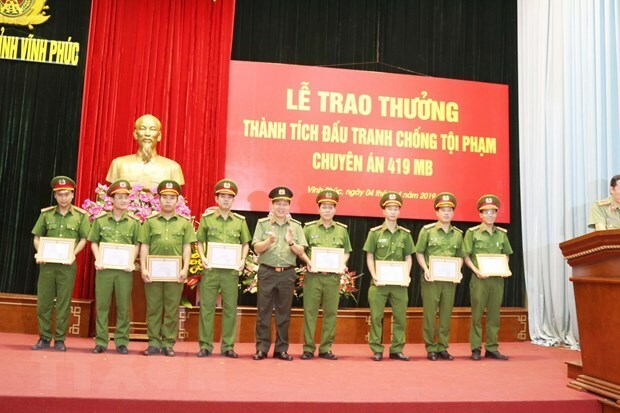 On April 2, the provincial police in collaboration with the Tam Dao police force caught two suspects – To Anh Duc, born in 1987 and residing in Dien Bien district of Dien Bien province, and Ngo Hong Quan, born in 1981 from Thai Hoa town of Nghe An province – illegally trading the drugs. The suspects are being detained for further investigation.